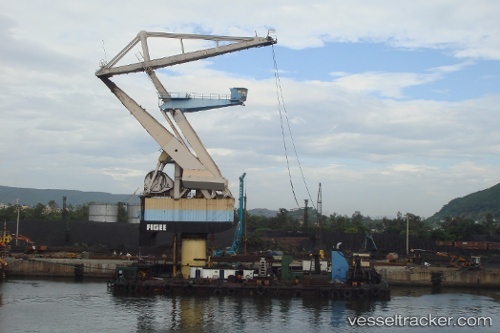 A bulk cargo handling terminal at Visakhapatnam Port Trust (VPT) run by an Indo-French joint venture has been allowed to handle 10 more cargo items than the four it was originally built to serve, triggering demands for similar treatment from others. The Tariff Authority for Major Ports or TAMP has notified the rates for handling the 10 extra cargo items at the West Quay Multiport Private Limited run by Mumbai-listed Starlog Enterprises Ltd and French shipping firm Louis Dreyfus Armateurs S.A. at the WQ-6 berth of VPT. The terminal operator’s request to set rates for handling the extra cargo was cleared by TAMP on an application filed by VPT. The capacity of the Visakhapatnam port capacity has now risen to 120 million tonnes with 27 berths and several projects are in progress in the port to further enhance the capacity and improve the services to customers, according to Chairman M.T Krishnababu. The port was established in 1933 by the British, with hardly two lakh tonnes capacity. He was reviewing the progress of the port here on Thursday at a media conference on the occasion of the formation day to be celebrated soon. He said the port had handled 63.5 million tonnes of cargo last year (2017-18) and for the current financial year the target had been set at 67 million tonnes. “We are sure we will achieve, and even surpass, the target,” he added.